Winter trek in white woods. 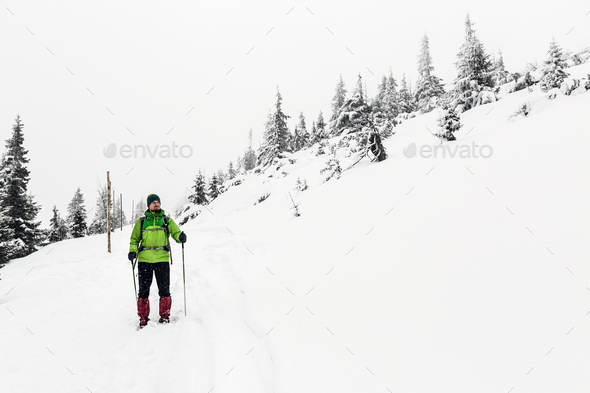 Man hiking trekking in winter white forest. Travel recreation fitness and healthy lifestyle outdoors in beautiful snowy nature. Motivation and inspirational white winter landscape.